DAB+ Digital Radio broadcast over the airwaves has come a long way since the official launch in mid 2009. 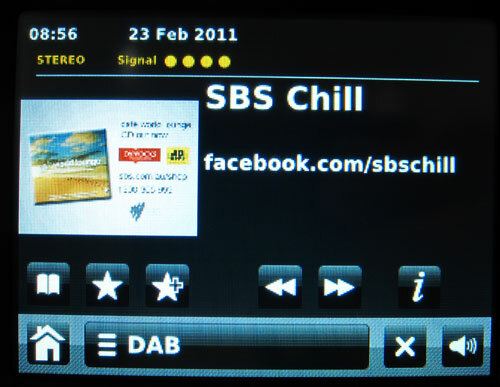 DAB+ digital radio has totally changed my listening habits, my top 3 most listened to radio stations (SBS Chill, SBS 6 BBC World Service Relay and KOFFEE) are all digital-only radio stations. 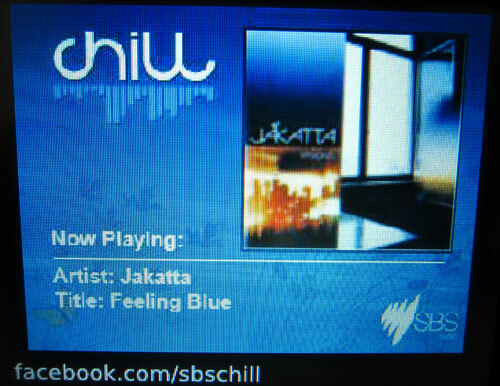 SBS Chill and KOFFEE play chillout music which I like to keep on in the background and no other analog radio station had ever played much of this music before. There are nearly 700,000 people listening to digital radio in an average week, in the five state metropolitan capitals of Sydney, Melbourne, Brisbane, Perth and Adelaide and 406,012 digital radios in the market as of March 2011. Radio broadcasters continue to launch new digital-only services with up to 20 new DAB+ only stations on air in each market, plus an additional 13 short-term or pop-up stations. There are now more than 80 different digital radio models on sale in Australia, across 700 retail outlets plus online stores. The average sales price has fallen to AUD$105. Time spent listening to radio via DAB+ digital radio devices is 11 hours and 11 minutes each week, up by two hours and 55 minutes since Survey #1, 2010. Time spent listening to radio via a DAB+ digital radio has overtaken listening to radio on the internet by 2 to 1 (TSL on internet 5 hours & 11 minutes). 78% of those surveyed were aware of digital radio, up from 63% at the beginning of 2010. 87 % of people who own a digital radio would recommend it to a friend. 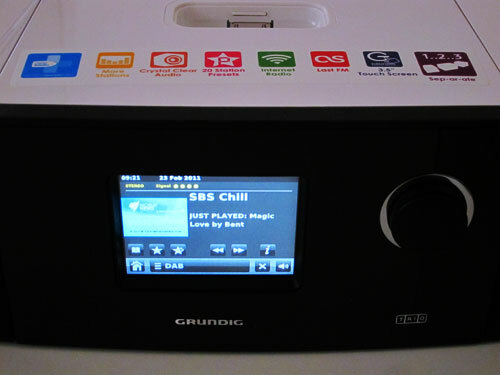 I had a chat about the State of Play of Digital Radio in Australia with Trevor Long – Business Affairs Manager at SBS Australia who is excited about new radio model features like being able to view an Electronic Program Guide (EPG) and record digital radio to an SD card on the Grundig Replay Radio as well as the image slideshow display on the Grundig Trio Radio. Trevor is in charge of SBS digital radio stations including: SBS 1 and SBS 2 (traditional SBS foreign language content), SBS Chill, SBS PopAsia and SBS 6 (which usually plays a relay of BBC World Service but is switched to big events at certain times of year eg: Eurovision, big soccer tournaments). Neerav Bhatt: How you see the State of the Australian DAB+ market relative to launch in August 2009? Trevor Long: The market continues to go from strength to strength, with new stations created, new pop-ups (temporary special event radio stations) regularly and most importantly the evolution of new feature packed radios and lower prices across the board – all good for listeners. Neerav Bhatt: What are the audience numbers and feedback like for SBS Digital Radio DAB+ stations? Are any particularly popular or growing the SBS audience in a new direction? Trevor Long: Our two Digital only stations, SBS Chill and SBS PopAsia are a remarkable success for stations without the marketing or core audience base of the commercials. SBS PopAsia now includes a live two hour program from 5pm every weekday featuring a PopAsia countdown and audience interaction from Phone, Email, Facebook, Twitter and Ustream Streaming. This is an innovation in radio, and we’re extremely pleased with both the sound of the station and the show, as well as the audience reaction. 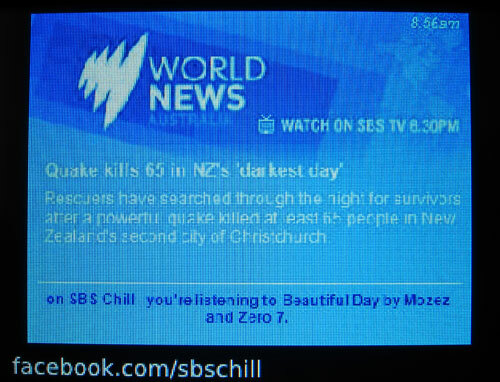 SBS Chill continues to drive enthusiastic audience responses both on Facebook and on the SBS Chill website – We’re motivated by the continued great response for a station that really has had no promotion other than on the screen of your Digital radio! Neerav Bhatt: What are your thoughts on DAB+ slideshow, DAB+ radios that can record to SD card/USB drive etc? We are particularly excited about the DAB+ Slideshow receivers on the market. The iRiver B30 was the first, and a great handheld unit, while the PURE Sensia really set itself apart for its design and features. The recent Grundig Trio is a great addition to this lineup and we’re looking forward to more and more of these as the industry evolves. Of course, Listeners and Manufacturers alike both need a good content offering there to make it worthwhile – we’re pleased with our current trials on SBS Chill which feature Artist Information, Latest News and also Internal Advertising opportunities – and we’ll be working with our software providers to ensure we continue to offer the latest here, including animated slideshow very soon. 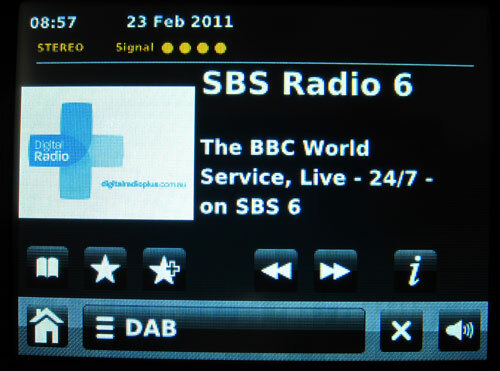 It is great to see some receivers with SD slot recording too, for a format like SBS 1 and 2, which is hourly appointment based programming it’s an important feature, however we believe the use of EPG (Currently being broadcast on Sydney DAB+ by ABC and SBS) is the most important feature yet for our listeners. With the potential to miss just 5 or 10 minutes of your Language program on SBS Radio, EPG might very soon allow a ‘PVR’ for your Radio concept meaning our listeners can programme their radios to receive and record their favourite programs at any time. Neerav Bhatt: Is the lack of cars which get sold factory direct with DAB+ radios built-in the main factor really holding back DAB+ take off in Australia? Trevor Long: It’s certainly a key driver in the future of DAB+ – Ford’s recent announcement supporting DAB in their UK market vehicles is a great step forward, joining the many European nations doing likewise in the coming years. It is only a matter of time, however it is understandable in a country of this size that some understanding of the future regional landscape be clear before a commitment is made. We hope this will come very soon – meanwhile, with the availability of Single DIN (Interchangable) DAB+ radios in the market now, those with older cars can in fact join the revolution now by putting a DAB+ radio in their car. EDITOR NOTE: BMW Australia is the first manufacturer in Australia to offer built-in car Digital Radio DAB+ as an option, with availability on 5 Series and 7 Series from May 2011, and the new 6 Series upon launch. 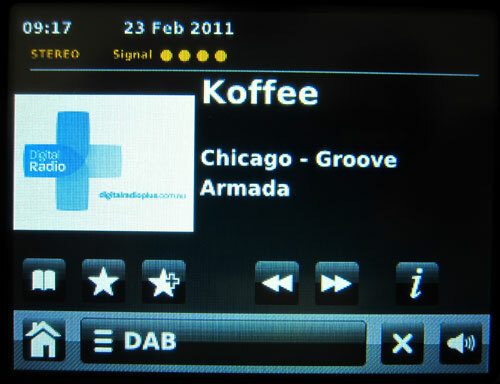 Australias commercial radio industry has shown how keen it is for digital radio to be a standard car feature by making an offer “to car manufacturers of bonus commercial radio airtime for manufacturers that integrate DAB+ technology into their vehicles”. Which Digital Radio Should You Buy? NOTE: Digital Radio is only available in Sydney, Melbourne, Adelaide, Perth and Brisbane at the moment. 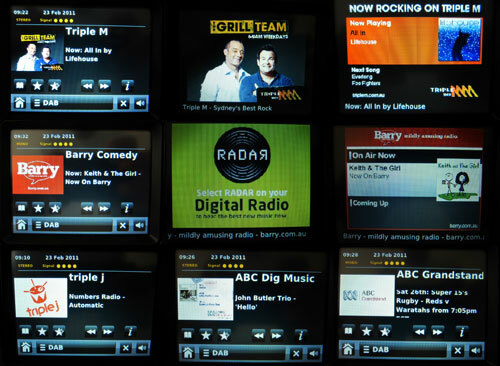 DAB+ digital radio trials have switched on in Canberra and Darwin but are just that, temporary. The industry is waiting on the Federal Government to announce/decide the future for regional areas which need allocations of VHF Band III spectrum for the rollout of digital radio services across Australia. I work with satellite and terrestrial digital TV gear, and I’d been frustrated for years with not being able to get decent reception for AM radio on Sydney trains (all the way back to trying to listen to the finals of America’s Cup races riding the train to work in the mornings in 1983!). I bought Pure Highway because of the car/media player line in/FM modulator on car power, and the instantly frustrating feature to me is the limited review/pause/timeshift function. Why haven’t DAB+ manufacturers simply implemented audible media equivalents to the TV PVR connectivity/functionality that already shows them what to do. I know the market isn’t huge, but it’ll only improve and start to look like the logical step forward, and the logical default alternative to AM AND FM, if the possible functionality is implemented and used to sell it. Hi, I’ve been checking out the slideshows on a Kaiser Baas digital radio/TV stick with their beta software. Cool! But only one ensemble is giving garble free images. SBS/ABC is the worst reception here at Bacchus Marsh with most pictures badly garbled and the software crashing frequently. I’m using a rooftop TV antenna, but only the garble free ensemble reads 100, the other read 80, is there anything to improve on this? Would a preamp help? Melbourne DAB+ is now running at higher power since the analogue TV signals were shut down. Indoor reception on a whip antenna at last!